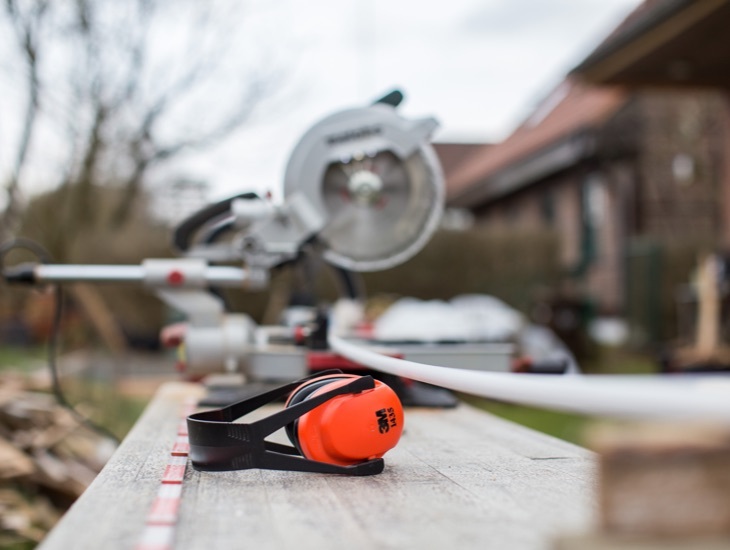 If you’re interested in becoming a “fix and flip” investor in the New Hampshire real estate market, you might be wondering how to quickly secure the capital you’ll need when you identify an ideal project. New Hampshire has experienced a steady decrease in inventory of for-sale homes which means any property hitting the market that represents an appealing fix and flip opportunity is likely to catch the attention of other interested investors. Given the slow pace of the traditional loan process, trying to secure a conventional mortgage could lead you to lose out on a property to another investor who is able to secure funding in a shorter time frame. One solution some investors are finding is to receive financing from hard money lenders that service the New Hampshire real estate market. Working with hard money lenders servicing New Hampshire can be a viable way to access short-term financing, for several reasons. First, because these lenders are in the business of supplying capital to investors for short-term, time-sensitive projects, they’ve developed processes to get that money into borrowers’ hands much more quickly than a bank or other conventional lending institution can. Second, whereas a traditional loan often hinges on a borrower’s personal financial position and credit history, hard money lenders may base their decisions on the asset that needs to be financed in addition to other criteria on a case-by-case basis. All of which is to say that hard money lenders operating in New Hampshire can provide you with the capital you need in a hurry to acquire a property to fix and flip. The demand for housing in New Hampshire is high, due in large part to domestic in-migration from neighboring states. According to a recent US Census report covered in US News & World Report, New Hampshire experienced its largest annual population gain in more than a decade. This influx of residents to the state also helps explain why, according to a report from the Bureau of Labor Statistics, New Hampshire has the second-lowest unemployment rate in the country — just 2.6%. Given these factors, it’s easy to understand why, as the New Hampshire Business Review reported, the state has been experiencing a housing-supply shortfall — both in densely populated areas like Hillsborough and Rockingham, as well as statewide. This lack of inventory of homes for sale helps explain why residential real estate investors are turning to hard money lenders for New Hampshire projects for quick financing when properties become available. PeerStreet works with a network of hard money lenders in New Hampshire that collectively supply financing for projects across the state — from major metropolitan areas such as Manchester, Nashua and Concord, to the state’s smallest and most remote towns like Hebron and Acworth. Because PeerStreet has developed such an extensive network of lenders offering hard money loans for the New Hampshire market, we are in a unique position to match you with the right lender with the right expertise both for the area of the state you’re looking to invest in and the specific type of property you’re interested in purchasing. Another reason PeerStreet is your ideal conduit to hard money lenders servicing New Hampshire is that we add new lenders to our network only after thoroughly vetting the company — using a rigorous process during which we examine a lender’s history, lending practices, financial position, leadership team, and several other factors. Only those companies that have met our standards have been added to the PeerStreet network of hard money lenders that service New Hampshire. Each lender we partner with will offer its own set of financing terms, but most of the hard money lenders servicing New Hampshire in the PeerStreet network provide capital under a similar set of broad conditions. These are usually short-term loans (from 3 to 36 months) and range from $75,000 to $5,000,000 for LTVs up to 75%. Interest rates on these hard money loans typically range from 8% to 12%. These hard money loans for New Hampshire projects are typically provided for specific business purposes — such as fix and flip, fix to rent, buy to rent, refinance, bridge or commercial investment financing. What is a Hard Money Loan for New Hampshire Real Estate? Hard money loans for New Hampshire real estate projects are short-term real estate investment loans, made only for non-owner-occupied property, and backed by the property itself. There are three main characteristics that distinguish hard money loans for New Hampshire from a traditional real estate mortgage from a conventional lender in the state. First, qualification for hard money loans can happen much more quickly — allowing a borrower to access needed capital faster than with a traditional loan (and often at a higher interest rate). Second, hard money loans are typically designed for much shorter holding periods — usually only up to 3 years, as opposed to a traditional 30-year mortgage — which makes them viable financing options for short-term investments like a fix and flip. Why Use Hard Money Lenders for New Hampshire Real Estate? Looking to invest in real estate backed loans? Open PeerStreet Investor Account As a real estate investor, you’ll want to consider obtaining financing from hard money lenders for the New Hampshire market for a couple of reasons. If you identify an attractive property that appears to be a viable fix-and-flip investment opportunity, hard money loans for New Hampshire real estate projects might represent your best chance at securing the capital you need quickly enough to buy the property. Remember, New Hampshire has been experiencing declining housing inventory, with fewer homes hitting the market for sale. That means you’ll want every advantage you can find when an attractive investment property goes on sale — and a hard money lender in New Hampshire can represent a much faster source of funding than you’ll find through the traditional lending process.